Sales dedicated to benefiting Law Enforcement Agencies across America. 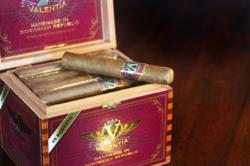 Five different Valentia Cigars are available in heirloom boxes and pocket packages. Any tobacco dealer that opts into our VALE program will be given special discounts for also designating a Law Enforcement Agency to receive purchase award credits in the dealer's name. Valentia Cigars has announced the introduction of a new line of unique cigars with a remarkably smooth blend and exceptional burn. The essence of these cigars is rooted in the careful selection of the tobacco used in each part of the process; the ideal aging of the leaves; and the skill of the masters in the best tradition of cigar making. Sales of Valentia Cigars by fine tobacco dealers will benefit Law Enforcement Agencies, police officers, and their communities through the Valentia Assistance for Law Enforcement (VALE) program, in which designated police departments receive award credits every time a participating cigar dealer orders Valentia Cigars. This can amount to thousands of dollars in essential gear that Law Enforcement agencies obtain for free from The Mako Group (http://www.themakogroup.com). Having this additional free gear will help improve officer safety and community security, while reducing the amount a community would otherwise spend for such essential police gear. Mathew Buck can be reached directly at 425 283-6440 or by email at Mathew.Buck(dot)valentiacigars(dot)com. The special blends of Valentia Cigars are formulated with the personality of each cigar in mind. The perfect combination of leaves is not the result of improvisation, but rather of the instinct that comes with lineage. Our experts trace their roots to a long line of artisans in both Cuba and the Dominican Republic. The finest tobacco leaves are selected in the fertile Cibao valley, the heartland of the Dominican Republic, to create the flavorful blend and rich aroma of Valentia Cigars. These leaves are then aged and hand rolled by craftsmen with generations of experience in the art of shaping quality puros. The spirit of Valentia supports a dynamic lifestyle and the enjoyment of sophisticated pleasures. 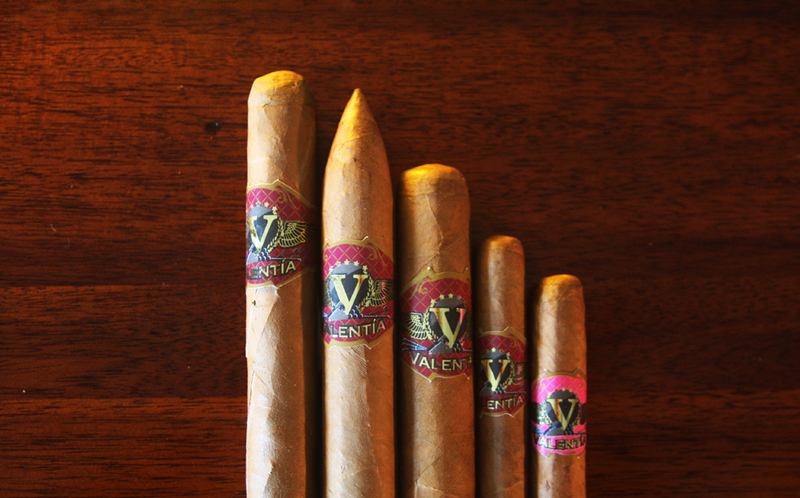 The Valentia Claro Selection includes CHURCHILL; TORPEDO; ROBUSTO; FUERZA GENTLEMAN; and FUERZA LADY. Lady cigar connoisseurs and those women who would like to experience the uniqueness of a good cigar will find FUERZA LADY, (which are specially conceived to celebrate the prominence of strong women in every culture), especially rewarding and satisfying. Retailers and cigar connoisseurs are discovering that Valentia Cigars meet or exceed their finest expectations, while enabling them to help Law Enforcement Agencies improve their communities. For more information about Valentia Cigars and the Valentia Assistance for Law Enforcement (VALE) program, visit http://www.valentiacigars.com; call 516 307-0065; or email info(at)valentiacigars(dot)com.